Lately I have found myself wearing all kinds of long coats. Out of all of them, this cape coat from Mr. Poet is my favorite. Its very well made with seamless curves all around the pockets,buttons and collar. If your looking to spice up an outfit and look flashy for your lucky lady or guy, head on over to Mr. Poet. One of the biggest things you will find about my style, is the fact that I like Layers, Layers, Layers. A good inside shirt can really make an outfit stand out. I recently was shopping at Hoorenbeek when I noticed these awesome Polo shirts. They come with quite a few different collar and belt options, but the thing I like most about them, is the collar options that allows you to either wear a Ascot either around your neck or loosely. Out of my shopping experience, this is the first of its kind and a must buy for any male with flare or confidence. Last thing I want to mention, are the new mesh eyes from Mayfly. 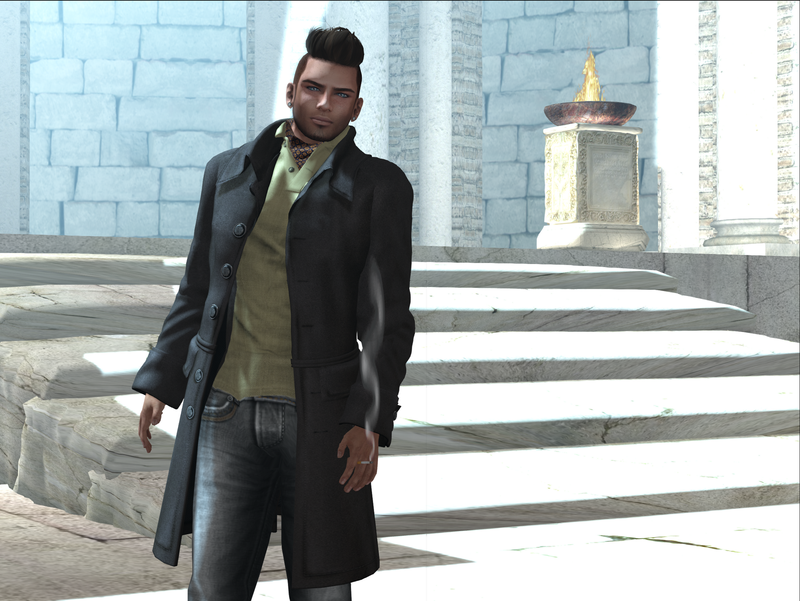 If you like it or not, Mesh is the new style and trend on second life. You might as well enjoy it now and show off your eyes like never before. Most of you are probably thinking they are really expensive! Heck no! Just 99L and you get four different sizes to choose from. The color selection is rather large, so most colors to be desired, should be available.